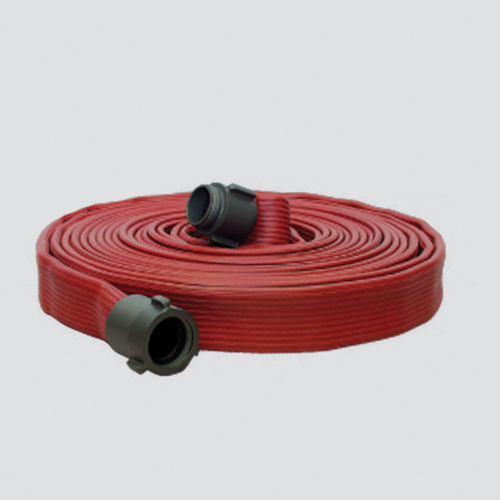 A rubber industrial fire suppression or washdown hose with 100% synthetic reinforcement. This hose provides abrasion, oil, and heat resistance, as well as long service life. It is coupled with internally expanded, male and female, national standard thread extruded, aluminum rocker lug couplings.